WCC LNG Project Ltd. (Proponent) is proposing to develop and operate the WCC LNG Project (proposed Project), a liquefied natural gas (LNG) facility and marine terminal for the export of LNG. The proposed Project would be located on the eastern shore of Tuck Inlet on District Lot 444 within the city limits of Prince Rupert, B.C. The proposed Project would export up to approximately 30 million tonnes per year of LNG to international markets. 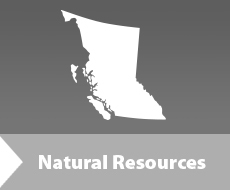 The proposed Project is subject to review under British Columbia’s Environmental Assessment Act and is also undergoing a substituted federal environmental assessment under the Canadian Environmental Assessment Act. Public feedback was invited on the draft Application Information Requirements (AIR). The AIR will specify the studies to be conducted and the detailed information to be provided by the Proponent in its Application for an environmental assessment certificate. The EAO invited public comments on the draft AIR which will be available for review from November 23, 2014 to January 6, 2015. In order to provide information about the AIR, EAO invited the public to attend an open house. Comments were accepted by online form, mail and fax. The intention of seeking public comments is to ensure that all potential effects – environmental, economic, social, heritage and health – that might result from the proposed Project are identified for consideration as part of the assessment process.